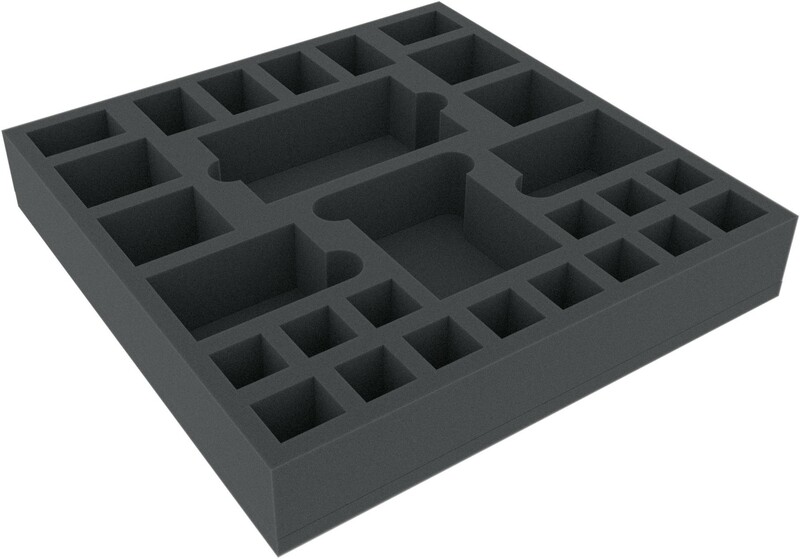 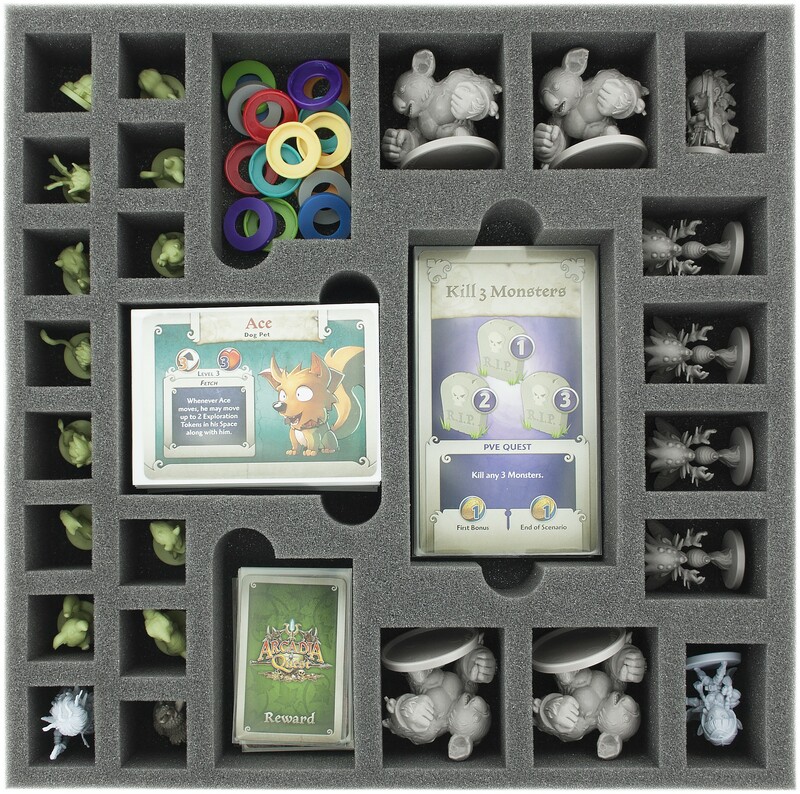 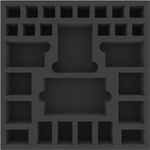 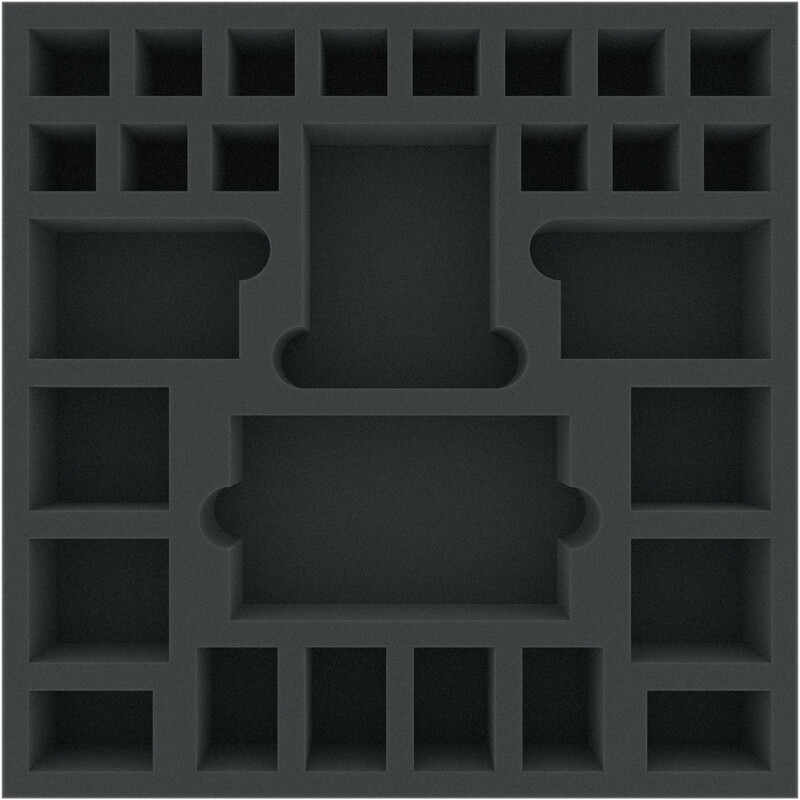 Foam tray with 28 compartments especially for Arcadia Quest: Pets. 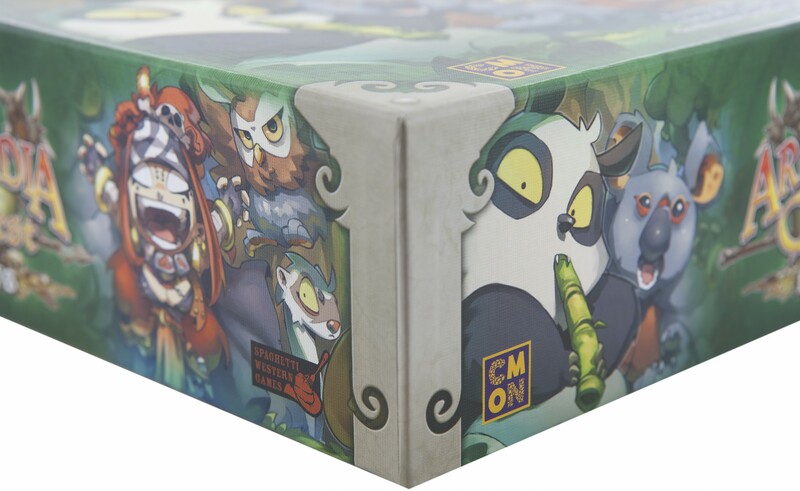 The 28 different compartments are perfect for the miniatures and cards in sleeves. 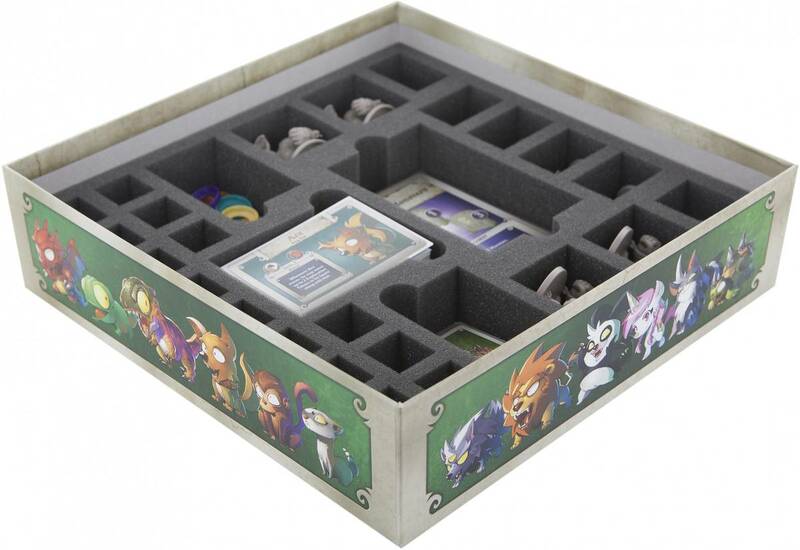 The foam tray fits perfectly into the original board game box, or into the Feldherr box LBBG.